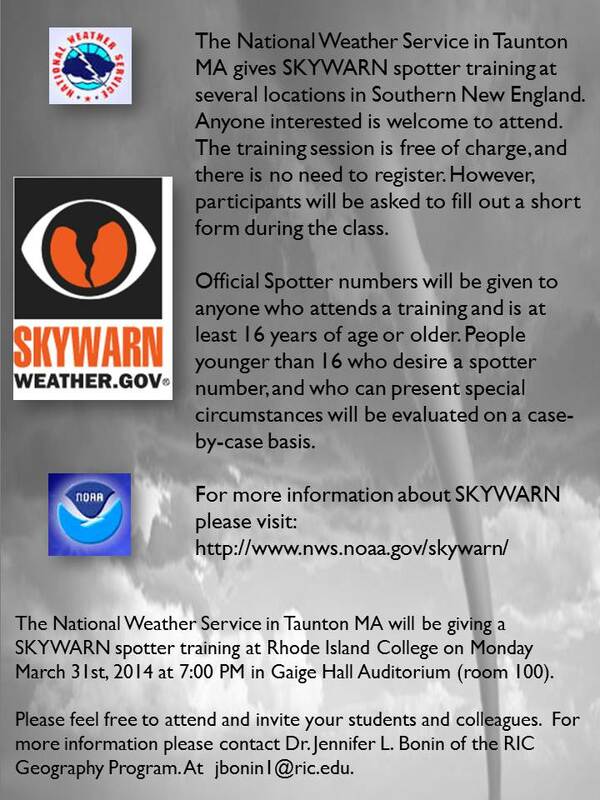 Have you ever wanted to learn more about the National Weather Service and receive meteorological training? NOAA works with volunteers that are trained severe weather spotters to help keep local communities safe with timely and accurate weather reports. Training of this type will be freely offered at Rhode Island College on March 31st at 7pm in the GAIGE HALL AUDITORIUM (room 100–this is a change for earlier announcements).